We have all been there, either on vacation or in some remote office where your good coffee has run out. And you sit there staring down the barrel of a cup of almost coffee. All the planning in the world can’t fix fate. So you man or woman up and drink the available swill. Know that this condition isn’t permanent but rather para coffee. It will keep you moving and grooving until the good stuff returns. 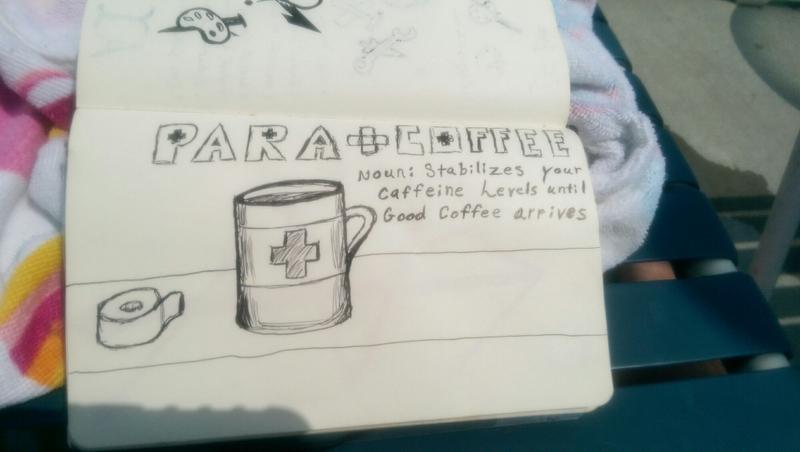 Make sure to check out the other coffee doodles there may just be one around to describe your current caffeine situation. Have an idea or situation you think might work? Leave it in the comments!